Cute individual taco bowls that you make yourself. The kids will love these. 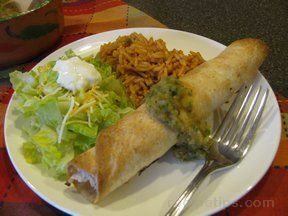 Filled with a zesty chicken filling and topped off with your favorite toppings, they will be a huge success. Heat tortillas until warm. Warming tortillas prevents them from cracking and breaking. You can warm them one of three ways. In the oven, wrap stack of tortillas in foil; place in a 375° F oven for 10-15 minutes. On the stove, turn a gas or electric burner on high. Using tongs, slide one tortilla at a time over the burner for a few seconds, alternating sides, until it's softened and beginning to char. Cover tortillas to keep warm. 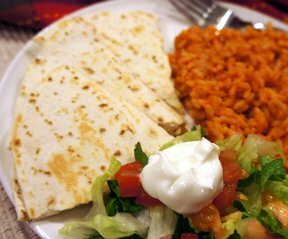 In the microwave, wrap a stack of 8 tortillas in a barely damp, paper towel; microwave on High for 30-45 seconds. Coat each side of 4 tortillas with cooking spray. Turn a 12-cup muffin tin upside down. Nestle a tortilla in the space between 4 cups to form a bowl. Repeat with 3 more tortillas, making 4 bowls total. Bake until firm and beginning to brown, about 12-15 minutes. Transfer to a wire rack to cool. Repeat with the remaining 4 tortillas. Meanwhile, toss chicken with garlic powder and salt in a bowl. Heat oil in a large skillet over medium-high heat. Add the chicken and cook, stirring, until it is no longer pink on the outside, about 3 minutes. Add salsa and cook, stirring, until the chicken is no longer pink in the middle, about 3 minutes more. Cover and remove from the heat. Fill each tortilla bowl with about 1/4 cup of the chicken mixture. 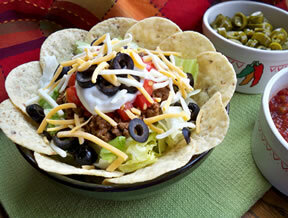 Top with cheese, sour cream, lettuce, tomato and olives. 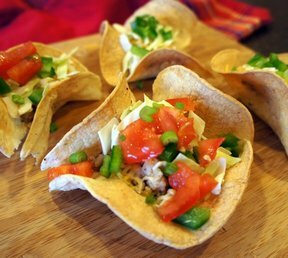 "I loved the corn tortilla bowls! I had trouble with the corn tortillas breaking, maybe I didn't warm them enough, but even though they weren't pretty they were still delicious. I used ground turkey instead of chicken breasts."